Taneharu Noguchi - race | Yamaha Motor Co., Ltd. 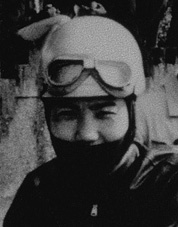 The first Yamaha factory rider. 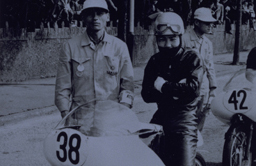 In 1961, when the Yamaha Team made its Grand Prix debut, was ranked 8th in the French GP in the 125cc class, and 10th in the 250cc class, notching up solid performances as a GP racing pioneer. After retiring from racing, made a valuable contribution as team manager and trained many riders, including Tadahiko Taira. His warm words of concern to riders in the pit ("How are you doing, son?") soothed riders in the tense moments of the race. Served as both road race competition manager and director. Died 1997.